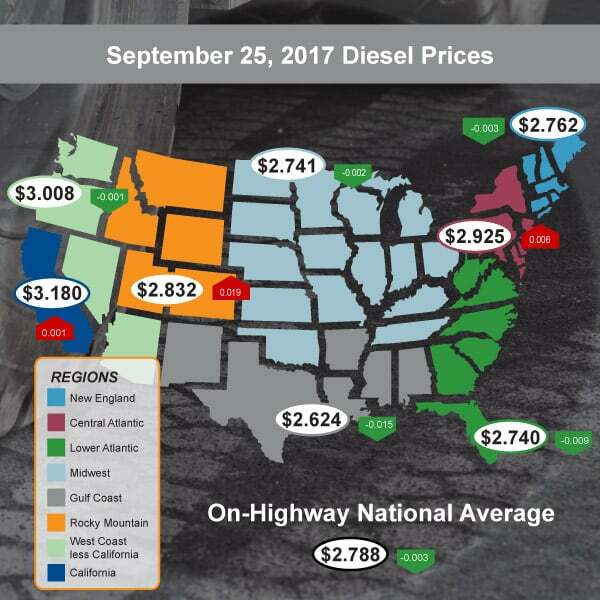 Diesel prices continue to fluctuate across the country according to the U.S. Energy Information Administration. The on-highway national average fell a total of -$0.003 to $2.788. Rocky Mountain drivers saw the largest increase with a $0.019 hike up to $2.832, while California maintained the highest average at $3.180 following a $0.001 change. Gulf Coast drivers on the other hand welcomed the largest drop of -$0.015 to $2.624 to see the nation’s lowest average.